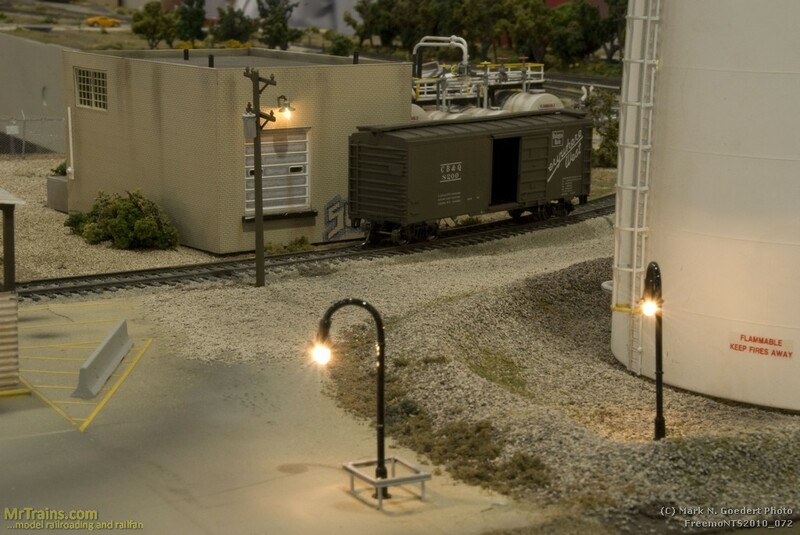 Free-mo is where many individual hobbyists come together to connect individual model railroad sections into a large, high quality, operating layout. Free-mo layout at the NMRA 2010 National Train Show in Milwaukee Wisconsin. Free-mo layout at the NMRA 2007 National Train Show in Detroit Michigan. The Free-mo standard emphasizes realistic scenery and trains. Free-mo is a great alternative for individuals that desire a large layout but have minimal space at home. A small shelf layout, built to the Free-mo standard, can become a large empire at a local train show or private gathering. This entry was posted in Layouts, Shows and tagged free-mo, modular, nmra convention by Mark N. Goedert. Bookmark the permalink.